Oil painting of Robert H. Copeland (1808-about 1883), probably painted in 1850s. Robert Hatten Copeland's nickname was Snake, apparently in reference to a deformed arm. At one point in his life, he ferried people across the Chattahoochee River near the corner of Carroll, Coweta, and Heard counties. He was also very involved in Methodist camp meetings. A SNAKE MAN - A correspondent in the country has furnished us with the following account of an individual, by the name of Robert H. Copeland, who is exhibiting himself through the country, the facts are vouched for by a number of the most respectable physicians and other persons in Henry County. This most singular being, perhaps, has not a parallel in medical history. He is now about 29 years old, of ordinary stature and intellect. His deformities are owing to a fright his mother received from a large rattlesnake attempting to bite her, about the month of her pregnancy. For several moments after the snakes snake struck at her; she believed herself bitten just above the ankle, and so powerfully was her mind affected, that, when she was delivered, the child's will was found to have no control over his right arm and leg; which are smaller than his left extremities. He can use his right leg now sufficiently to walk in a hobbling manner, but cannot retain it stationary, without the aid of the weight of his body. His right hand has the usual number of fingers, but they are smaller than those of his left hand. The wrist joint is longer than usual and his hand stands at angle with his arm. His front teeth are somewhat pointed and inclined backward like the fangs of a snake. The right side of his face is sensibly affected; his mouth is drawn considerably further on the right than on the left side; his eye squints, has several deep groves (sic) radiating from it, and has a very singular appearance much resembling a snake. But perhaps the most extraordinary circumstance on record, is, that his right arm, when not restrained, will draw the lower part to about a right angle with the upper, and sometimes two or three, but most commonly only the fore-finger will project, curved at the first joint, much resembling a snake's head and neck, when in the attitude of striking; and the whole arm will strike at an object with all the venom of a snake, and precisely in the same manner, sometimes for four or five strokes, and then the arm assumes a vibratory motion, will coil up, and apply itself close against the body. During this period, his right foot and leg become excited, and if not restrained will strike also. His face is also excited; the angle of his mouth is drawn backward, and his eye snaps more or less, in unison with the strokes of his hand, whilst his lips are always separated, exposing his teeth, which being somewhat pointed, like the fangs of a snake, causes his whole visage to assume a peculiar and snaky aspect. During infancy and childhood, the whole shape of the snake, even to the fangs, was printed on the anterior of his legs: but he grew up, it became gradually obliterated, till now there is only a small depression where the snake's head was imprinted. The sight of a snake fills him with horror and an instinctive feeling of revenge; and he is more excitable during the season of snakes, and even conversation concerning them excites him, and his arm appears more anxious to strike than when no such conversation is going on. All of the above phenomena are perfectly independent of his will, as hundreds can testify, who were acquainted with him long before he had an idea of exhibiting himself publicly. 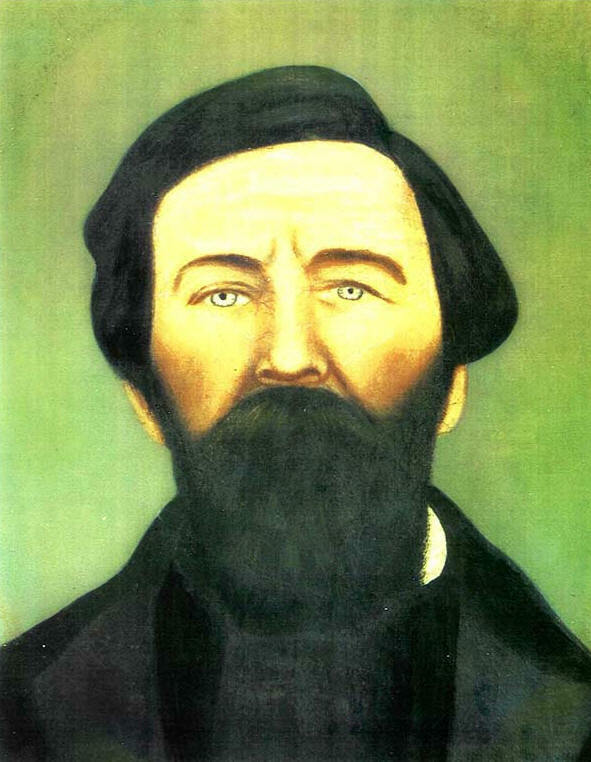 This singular being was born in Carolina, and moved to Georgia in the year 1829, where he has since remained, performing such labor as he could with one hand; and by unremitting exertions, has maintained his wife and increasing family. His physical peculiarities being considered only in the light of a common deformity, he never thought of exhibiting himself publicly till it was suggested to him by a medical friend in 1837. As best as can be determined, Robert H. Copeland fathered 13 children.